Seth Stephens-Davidowitz has done some interesting work, including analyzing Google data to identify anti-Black animus among American voters. In today’s New York Times he has an interesting piece about how NBA players disproportionately come from privileged backgrounds: richer zip codes, non-teenage mothers, married parents. What are these advantages? The first is in developing what economists call noncognitive skills like persistence, self-regulation and trust. And the evidence for that? A single anecdote (“consider the tragic tale of Doug Wrenn…”). Really? 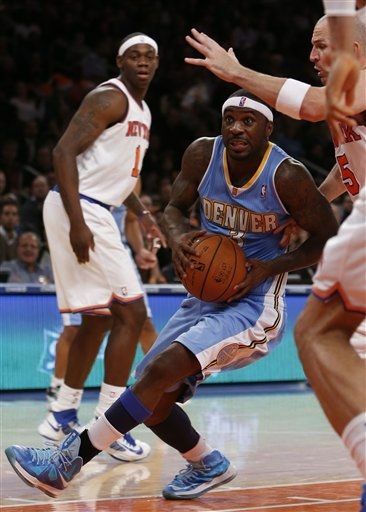 I have an anecdote for you: Ty Lawson, the former UNC point guard who now plays for the NBA’s Denver Nuggets. He seems to fit the profile. He started his career in middle school in Brandywine, Maryland (with a median household income of $108,ooo, twice the national average) before getting into the private-school basketball circuit. I don’t know if his parents were married, but they have the same last name. He is also less than 6 feet tall. So how is he in the NBA? Obviously, he has the incredible physical and mental ability to play at that level. That takes persistence, as well as some probable genetic advantages (his mother ran track). And, of course he is a paragon of self-regulation. Except for all that drunk driving, speeding, not showing up for court appearances, and domestic violence charges. * Throw it all under “non-cognitive skills,” I guess. Forget the anecdotes. Could we at least consider the possibility that the richer schools of future-NBA stars devote more material resources to cultivating the talents of their most-talented athletes — coaching, facilities, attention? An economist (no offense) does some demographic research, and suddenly pronounces on social psychology without even pretending to offer evidence on what the “first” advantage of a privileged upbringing is? (The “second relative advantage” Stephens-Davidowitz cites is height, since rich kids grow taller.) You would think economists would at least consider the advantage of money itself. *This criminal record shows an amazing combination of racial profiling (pulled over for loud music coming from the car, etc.) and basketball-town privilege (made to write a 4-page report on evils of drunk driving; “he’s just a rookie,” etc.). But that’s not the point. It’s not just because women are, on average, shorter than men. Because everyone knows men are taller on average, straight couples in which the man is shorter raise a problem of gender performance. That is, the man might not be seen as a real man, the woman as a real woman, if they don’t (together) display the normal pattern. To prevent this embarrassment, some couples in which the wife is taller might choose to be photographed with the man standing on a step behind the woman, or they might have their wedding celebrated with a commemorative stamp showing her practically on her knees—as the British royals did with Charles and Diana, who were both the same height: five foot ten. For illustration, and to compare the pattern with the U.S., I downloaded the 2009 Panel Study of Income Dynamics, a U.S. survey that includes height reported for 4,600 married couples. * These are the height distributions for those spouses, showing a median difference of 6 inches. What difference does it make? When people—and here I’m thinking especially of children—see men and women together, they form impressions about their relative sizes and abilities. Because people’s current matching process cuts in half the number of woman-taller pairings, our thinking is skewed that much more toward assuming men are bigger. * I must note that Dalton Conley and Abigail Weitzman have a forthcoming paper for the 2013 Population Association of America conference on height differences, which also uses the PSID data, as well as the National Longitudinal Survey of Youth. I haven’t seen the paper, but the abstract is here.